AKC members if you order a pedigree from AKC the date next to the dog's registration number is the year-month the dog appeared in the AKC Stud Book not their actual date of birth. The dog that you requested the pedigree for is the only dog that shows the actual DOB. If you go to the AKC website, you can join for free, and then there is a FREE LOOKUP (no cost) at the bottom of page on the right. Type in the registration number or name and the information should come up. You need to then click on the registration number in order to see the date of birth, color and DNA of the dog. 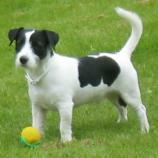 You can search for a dog by registration number, or by breed and name. Search tips. When you are entering your dog's information, you must include the Breed Book AKC and also the registration number which is probably DN xxxxxxxx. DN is not the breed book, it is part of the registration number. AKC is the breed book. PDB is used by people around the world, and just because you know that your dog is registered with AKC, that does not mean that our foreign members know. Please re-read and follow the rules for entering dogs . Sometimes if you use Google Chrome, the Breed Book will autofill as United. This really means United States and is wrong. The breed book is AKC. Since these dogs are proven through DNA testing sire unknown to be purebred dogs they are not allowed to be on the Pedigree Database. The Admin at this time are allowing dogs that were already entered by adding next to the Registration Number CONDITIONAL REGISTRATION for all future progeny. It is important that members of the PDB know the reason the dog has this next to their dogs pedigree.